Ethics and Religion Talk: Should religious leaders provide therapy? Our question this week is: Should individuals and families seek therapy from their religious leaders; and conversely, should religious leaders provide therapy? 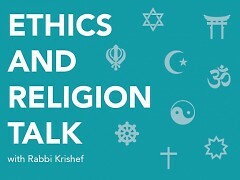 Notice -- Ethics and Religion Talk needs your questions. 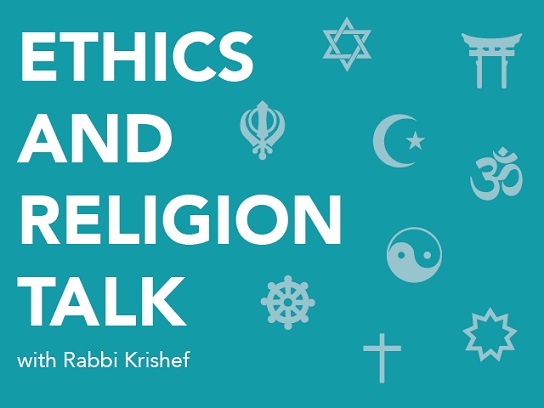 Please send questions about ethical issues you have encountered in the course of your day, or Biblical or theological questions that a panel of religious experts can answer from a multi-faith perspective. “If by therapy you mean a course of treatment intended to cure disorders of the mind administered by a skilled and accredited practitioner, the answer is no. Presbyterian and Reformed ministers receive only a modicum of training as counselors. Some ministers seek additional training after seminary in order to enhance their skills and qualify as therapists, but they are relatively few in number. “This depends on several factors. According to the American Psychology Association, successful therapy depends, in part, on the relationship that is built between the person seeking therapy and the therapist. Another consideration is the qualification of the religious leader, does he/she have a degree and/or is he/she a licensed psychologist? Another point to consider is the area needed for therapy, does the religious leader have expertise in the necessary area of analysis? “Religious leaders do provide spiritual counseling. Some are qualified to provide more in-depth psychological counseling. Should religious leaders provide therapy depends on the credentials held. Should individuals and families seek therapy from their religious leaders depends on the relationship and comfortability, especially trust. “Mainstream or evangelical, liberal or conservative, pastors who are not academically trained and licensed as therapy or mental health providers should not offer therapy, marriage counseling, or counseling for families and children. I would recommend that religious leaders of any faith community in the west, especially in the United States, refrain from trying to perform professional duties that they are not prepared or trained to provide. One reason is the relationships between the spiritual and the emotional are often separated by Americans, and not only can the combining of the two as a form of therapy often be confusing, religious discourse often prevents the discussion from focusing on underlying issues that a pastor may not be able to respond to as a religious leader. Also, the pastor often knows others involved, and is caught between her relationship with one family member and the expectations of others. Pastors are perfect for an empathetic and listening ear, but for professional therapeutic services, they should refer individuals to licensed professionals, community mental health, or self-help groups. Note from Rabbi Krishef: The panel is in agreement that clergy may offer spiritual or pastoral counseling, but should not offer psychological therapy unless they are specifically trained and licensed. Watch for a future column on the difference between Spiritual and psychological counseling.